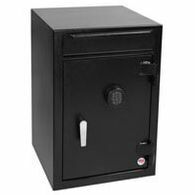 Also available with an Electronic or Dial Lock. 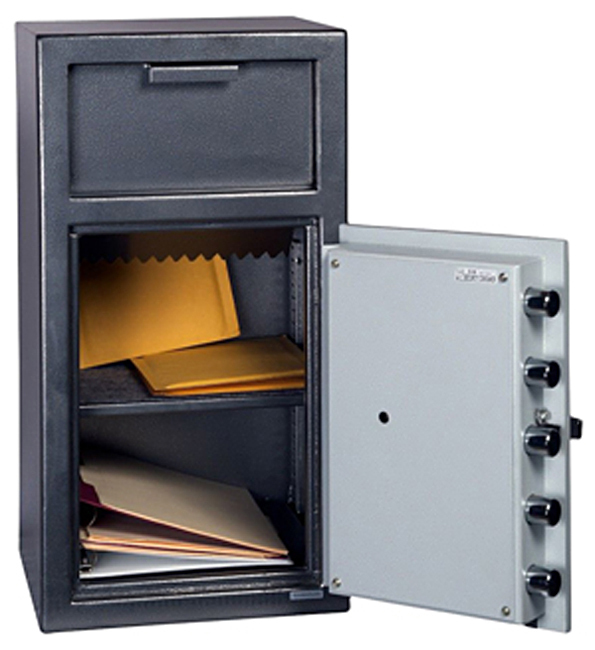 Put a dead stop to theft or shrinkage with a Hollon Depository Safe. 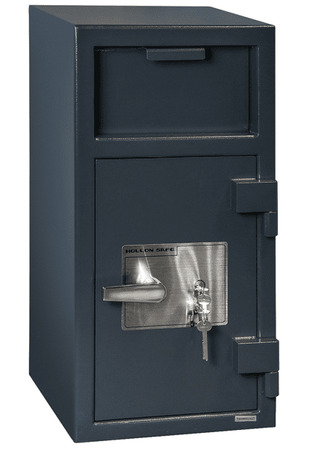 These safes are the absolute best choice for a heavy duty commercial environment. 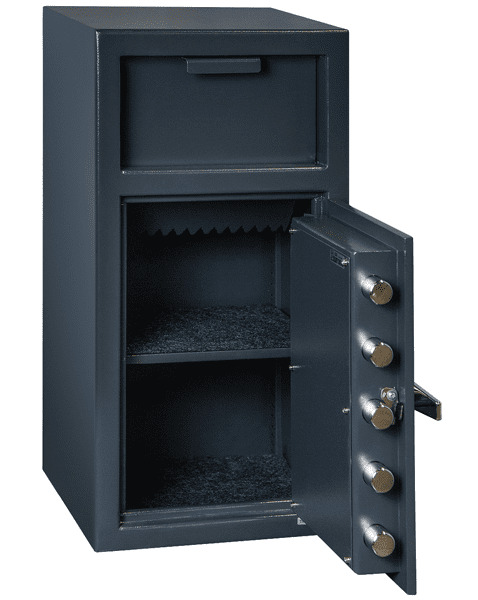 With a 1/2" thick solid steel door, 5 1.2" solid steel live locking bolts, drill / ballistic resistant hardplate and an anti-fish baffle, earning it's prestigious B-Rating was a piece of cake. 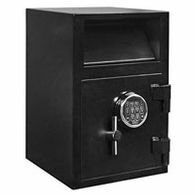 It comes with 2 manager keys and 1 Guard key making the security significantly better than its competitors and earning it a UL listed dual key deposit lock rating. If the burglar is able to get past the keys, this safe has an internal re-locking device providing a secondary line of defense. 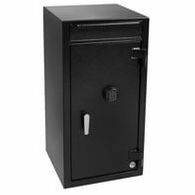 If that weren't enough, the locks and re-locker are protected by a drill / ballistic resistant hard plate. 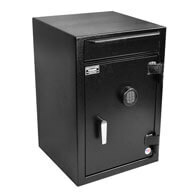 This model in particular, the FD-2714K weighs 115 lbs and is one of the highest quality and toughest drop safes for it's size.